FRISCO, Texas (September 30, 2014) — US Youth Soccer is excited to announce the release of "Spatial Awareness – A Progression for Coaching the Tactical Use of the Field of Play through Concepts of Space." The new coaching education resource provides youth coaches with an age-appropriate approach to teaching players tactical concepts that utilize concrete and abstract spaces on the field of play. Spatial Awareness features a simple structure to guide all coaches through the steps of strategically training players on the tactical use of spaces on the soccer field. Principles are broken down by age group, from Under-6 through Under-19 — gradually broadening players’ awareness of space and the use of space on the field, which can lead to more enjoyable and attractive soccer. "This new coaching guide from US Youth Soccer is another great resource for coaches and clubs to utilize as they continue to develop players of all ages,” said Sam Snow, US Youth Soccer Director of Coaching. "It provides direction for age-appropriate training, aiding coaches from the youngest age groups to the highest levels of youth soccer. I'm confident this guide will prove to be useful to coaches and players at all levels and provide an increased understanding of the tactical approach to the game." Spatial Awareness is also considered a companion piece to the Player Development Model released in 2012. The Player Development Model is a curriculum designed to serve as a standard to guide each of US Youth Soccer’s 55 member State Associations and more than 5,000 clubs on how to effectively train athletes of all levels and abilities. Available for coaches of all youth age groups and abilities, the Spatial Awareness coaching guide can be downloaded here or by going to the US Youth Soccer Coaching Education Document Center. 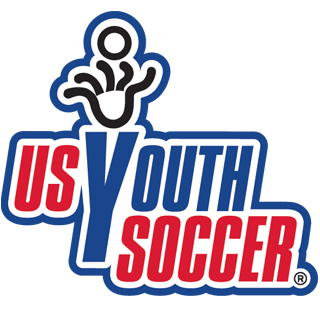 For more information on coaching resources and other tools for coaches, parents and administrators, visit USYouthSoccer.org.